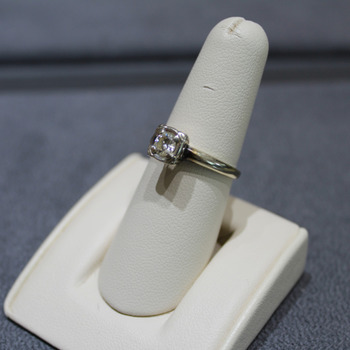 A daughter received her motherâ€™s engagement ring after her motherâ€™s passing. She decided to have the diamond removed from the original 14K White Gold illusion setting. 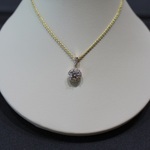 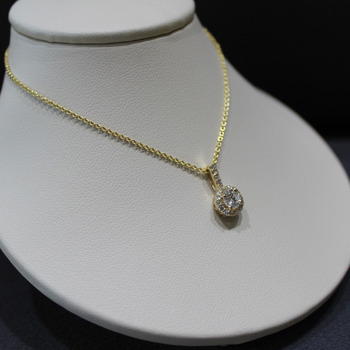 An updated 14K Yellow Gold filigree halo pendant was selected for the diamond. 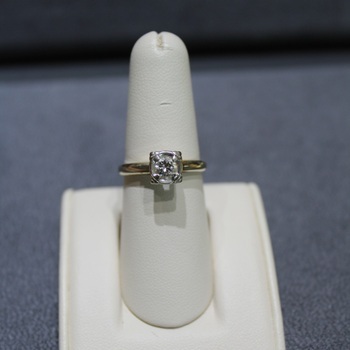 Now momâ€™s diamond will be worn close to her daughterâ€™s heart.